In a recent issue of Friday Offcuts, we asked for more good news stories to profile the industry, particularly to the younger generation. Attached is one supplied by Rayonier Matariki Forests. The company is stumping up tuition fees for its Southland contractors to train their apprentices in a bid to encourage school leavers to join the NZ forestry industry. 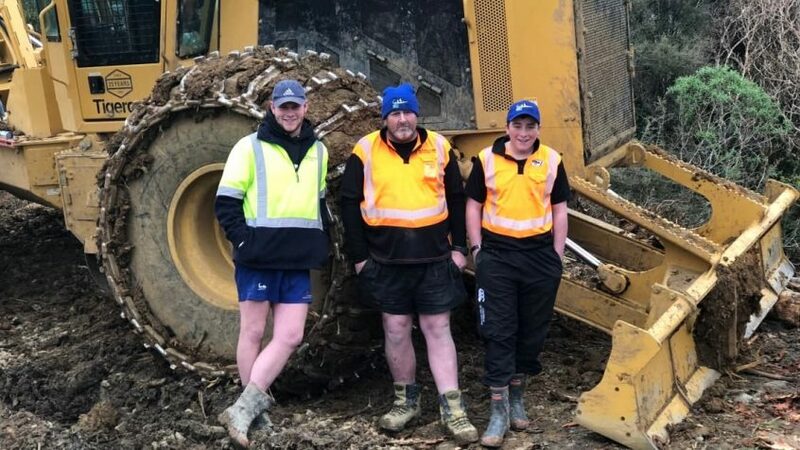 Tuatapere brothers, Jackson and Ethan McCallum are the first to sign up to the apprentice programme being offered through Rayonier Matariki Forests. Jackson (18) and Ethan (16) leapt at the opportunity to get a qualification in the industry they love. Their father, David (Daggy) McCallum, owner of McCallum Harvesting, was brought up in the forestry industry and shared his love of it with his sons. Jackson has his sights set on taking over his father’s business one day while Ethan, who is working for his uncle in his harvesting crew, ultimately aims to be his own boss. “I see this apprenticeship as a great opportunity to get some good skills. I’ve always wanted to work in the bush and l now I can learn from the highly experienced crew who are very knowledgeable and supportive, while also attending the course,” said Ethan. The programme, developed by Competenz offers a high level qualification involving classroom sessions, working on professional hi-tech simulators, and theory combined with on-the-job training provided by employers. Rayonier Matariki Forests Quality Manager, Fraser Field, said his company was happy to assist with training fees in a bid to recruit people into the industry and lift standards of competency. “We see this updated apprenticeship as a significant step forward in supporting newcomers into the industry and providing them with top level training, giving forest workers the opportunity to develop a life-long career in forestry. “Mechanised forestry operations are the future of harvesting in New Zealand and we need to make sure that our people are well equipped to embrace the coming technological changes,” said Mr Field. Daggy McCallum, who followed generations of his family into forestry, said the new high level qualification reflected what is happening in the industry. “The face of forestry is changing. We’re using new machinery and new skills are required. The apprenticeship course has been updated and made more relevant to what is happening in the forest. “As an employer, it is hugely beneficial to have my people qualified to this standard to improve safety and productivity on the job. The way the course has been designed provides flexibility for both the employer and the apprentice,” said Mr McCallum.